The 2012 Ryder Cup is the first to be played since the death of former Ryder Cup captain, Seve Ballesteros. In memory of the great Spanish golfer, The European Ryder Cup Team’s clothing for the final day at Medinah will carry the embroidery “Seve Ballesteros 1957-2011” and five stars signifying the Majors he won during his illustrious career. The design of the clothing, including the cresting was carried out by the team at Glenmuir’s headquarters in Lanark , Scotland , from where it has operated since 1891. The idea to memorialise Ballesteros in this way, who was one of Ryder Cup’s finest competitors, came out of consultations between The European Tour, European Ryder Cup Team captain, Jose Maria Olazabal and Glenmuir’s Design Manager, Ann Miller. The final day outfits of dark blue sweaters and trousers with white shirts was a combination always worn by Ballesteros on the final day of the Majors in which he played. Colin Mee, Glenmuir managing director, said: “Seve was an inspiration to generations of European golfers and we were delighted and honoured to help remember him in this special way. Glenmuir is a brand right at the heart of golf. Preferred Supplier to The European Ryder Cup Team for 26 years, Glenmuir enjoys partnerships with the PGAs of Europe , The PGA, VisitScotland and EventScotland. 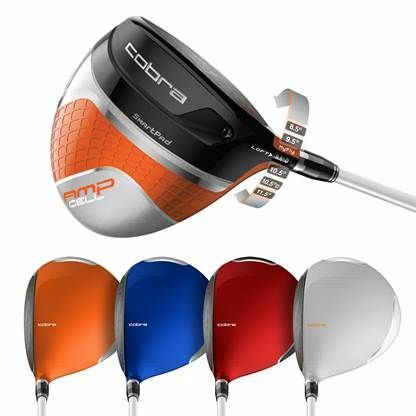 COBRA Launches AMP CELL Drivers.&nbsp; One Driver. Six Settings. Four Fresh Colors. COBRA Launches AMP CELLTM Drivers. One Driver. Six Settings. Four Fresh Colors. CARLSBAD, CA (September 24th, 2012) – COBRA Golf is bringing something juicy (again!) with the launch of the AMP CELL and AMP CELL Pro Drivers. Unlike any other driver available in the market, the AMP CELL and AMP CELL Pro Drivers feature COBRA’s new breakthrough MyFly technology, allowing golfers to select from 6 different loft/trajectory settings (in one club) for optimized performance and distance based on a golfers’ swing or weather and course conditions. 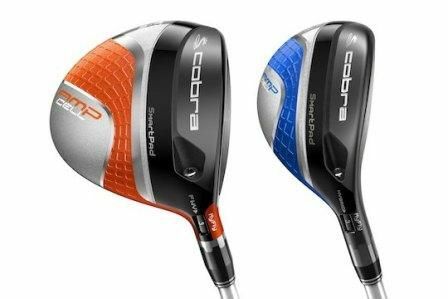 In addition to MyFly technology, COBRA is reaffirming its status as the first club manufacturer to offer a choice in color by creating the AMP CELL Driver in four fresh colors – Silver, Directoire Blue, Barbados Red and Vibrant Orange. MyFly Technology offers a simple solution for golfers to optimize trajectory and distance. The AMP CELL Driver can be adjusted to the following lofts with a simple wrench; 8.5°, 9.5°, 9.5° Draw, 10.5°, 10.5° Draw and 11.5°; and the AMP CELL Pro can be adjusted to 7.5°, 8.5°, 8.5° Fade, 9.5°, 9.5° Fade and 10.5°. Golfers can now customize their club based on swing speed (higher lofts for slower swing speeds and lower lofts for faster swing speeds), weather (lower lofts to bring ball flight down on windy days) and course conditions (higher lofts for more carry). The AMP CELL and AMP CELL Pro take adjustability a step further with SmartPad technology. Unlike other drivers that require a golfer to adjust the sole plate after adjusting loft for a square face, COBRA’s proprietary SmartPad technology delivers a square face at address regardless of loft setting and still allows for workability to slightly open or close the face as desired. COBRA’s E9 Face TechnologyTM with dual roll is used in the AMP CELL and AMP CELL Pro Drivers for an elliptical face shape with a canted bulge and roll that improves distance and accuracy on mis-hits from heel to toe and above and below the centerline. Advanced Material PlacementTM and Cell technology work together to enable a 12% larger elliptical E9 Face shape to deliver faster ball speeds and high MOI (moment of inertia) on mis-hits. The Cell technology saves and redistributes weight in a granular way and is visible on the drivers in the Cell band which wraps around to the crown. This wrap also visibly shows a golfer where the weight is distributed, with the AMP CELL Driver having a CG optimized for low-mid handicap players, the AMP CELL Pro using a lower, more neutral CG position for better players and the AMP CELL Offset have a heel-biased CG for slice correction. Taking choice and customization one step further, COBRA is offering the AMP CELL Driver in four fresh colors; Directoire Blue, Silver, Vibrant Orange and Barbados Red. The AMP CELL Pro is offered in Vibrant Orange and Silver. The sole of the club features a curved Cell band in the featured color and the crown of the club is the solid featured color. In the AMP CELL, the white Fujikura Fuel shaft features an edgy paint splatter graphic. The AMP CELL Driver is also available in an offset model designed to help tame a slice. The offset design offers the golfer more time to square the face at impact and provides more heel-biased weighting to help hit straighter drives. The AMP CELL Offset Driver features an MRC COBRA AMP Shaft and a Lamkin COBRA REL grip. The Offset model is Revolver Grey with hints of Barbados Red. The COBRA AMP CELL Driver (MAP $299) is available in both right and left handed models with My Fly technology which allows any driver you purchase to be adjusted from 8.5° to 11.5° loft settings, including 9.5° and 10.5° draw settings. It is available in Stiff, Regular and Lite flexes and features a Fujikura Fuel shaft (60g S and R, 55g L and 45.75” length) and has a 460cc head. The COBRA AMP CELL Pro Driver (MAP $399) is available in both right and left handed models with My Fly technology which allows any driver you purchase to be adjusted from 7.5° to 10.5° loft settings, including 8.5° and 9.5° fade settings. It features a MRC Kurokage shaft (65g and 45.25” length) and has a 440cc head. The AMP CELL Offset Driver (MAP $249) is available in 10.5° in Stiff, Regular or Lite flexes for both right hand and left hand models. It is also available in a right hand 11.5° model in either Regular or Lite flexes. Visit Us. Like Us. Follow Us. Watch Us. Subscribe. AMP CELL features MyFlyTM and SmartPad TM for Unmatched Distance Gapping and Performance. CARLSBAD, CA (September 24th, 2012) – COBRA Golf announced the launch of the all new AMP CELL Fairways and Hybrids. Featuring COBRA’s proprietary MyFly technology, the AMP CELL Fairways are available in a 3-4 model and a 5-7 model that can be adjusted into 8 different lofts. The Hybrids are available in 2-3, 3-4 and 4-5 models that can be adjusted into 10 different lofts. This gives golfers a never-before-seen ability to effectively dial in distance gaps and manage trajectories for their individual long game needs, as wells as ground and weather conditions. The AMP CELL Fairways and Hybrids are available in the same fresh colors as the AMP CELL Driver; Silver, Directoire Blue, Barbados Red and Vibrant Orange, so golfers can create a matched set or a personalized, mixed look. MyFly Technology offers a simple solution for golfers to optimize performance by creating even yardage gaps with their AMP CELL Fairways and Hybrids. The AMP CELL Fairway comes in two models, 3-4W and 5-7W. In just two clubs, an 8° loft spread is offered. The 3-4W offers easy adjustability between 13°, 14°, 14° Draw, 15°, 15° Draw and 16° while the 5-7W model adjusts between 17°, 18°, 18° Draw, 19°, 19° Draw and 20°. In the AMP CELL Hybrids, a 10° loft spread is offered between 3 clubs for effective distance gapping. The 2/3H model adjusts between 16°, 17°, 17° Draw, 18°, 18° Draw and 19°; the 3/4H model adjusts between 19°, 20°, 20° Draw, 21°, 21° Draw and 22°; and the 4/5H model adjusts between 22°, 23°, 23° Draw, 24°, 24° Draw and 25°. The AMP CELL Fairways and Hybrids take adjustability a step further with SmartPad technology. Unlike other clubs that require a golfer to adjust the sole plate after adjusting loft for a square face, COBRA’s proprietary SmartPad technology keeps a square face at address regardless of loft setting and still allows for workability to slightly open or close the face as desired. COBRA’s E9 Face TechnologyTM is also used in the AMP CELL Fairways and Hybrids to improve distance and accuracy over a wide area of the face Advanced Material PlacementTM and Cell technology work together to redistribute weight, enabling a larger E9 Face to deliver faster ball speeds and high MOI (moment of inertia) for greater forgiveness. Taking choice and customization one step further, COBRA is offering the AMP CELL Fairways and Hybrids in four fresh colors; Directoire Blue, Silver, Vibrant Orange and Barbados Red. The sole of the club features a curved Cell band in the featured color and the crown of the club is the solid featured color. The COBRA AMP CELL Fairways (MAP $219) are available in both right and left handed models with MyFly technology in the 3-4W and 5-7W models. The 3-4W model allows golfers to adjust between 13°, 14°, 14° Draw, 15°, 15° Draw and 16° while the 5-7W model adjusts between 17°, 18°, 18° Draw, 19°, 19° Draw and 20°. 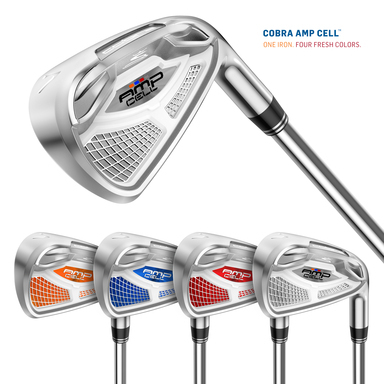 The COBRA AMP CELL Hybrids (MAP $199) are available in both right and left handed models with MyFly technology in the 2/3H, 3/4H and 4/5H models. The 2/3H model adjusts between 16°, 17°, 17° Draw, 18°, 18° Draw and 19°; the 3/4H model adjusts between 19°, 20°, 20° Draw, 21°, 21° Draw and 22°; and the 4/5H model adjusts between 22°, 23°, 23° Draw, 24°, 24° Draw and 25°. CARLSBAD, CA (September 24th, 2012) – COBRA Golf has launched the all new AMP CELL Irons, packed with the latest in technology and looks. With a metalwood face-weld construction, E9 Face Technology, AMP CELL technology, a V-Skid sole design, vibration management system and speed channel, these irons are positioned to deliver explosive distance, maximum forgiveness and pinpoint accuracy. The AMP CELL 4 through 7 irons feature a metalwood construction with a thin, high strength steel face that is welded to a softer 431 stainless steel body. This optimizes the irons to create a COR zone, controlled weighting and provides a lighter face; all working together to generate faster ball speeds for improved distance and forgiveness. COBRA’s proprietary E9 Face Technology gives the AMP CELL Irons a progressive face and cavity design to optimize the performance of each individual iron to improve distance, feel and forgiveness based on golfers most common impact patterns. The internal cell weighting in AMP CELL irons enables precise CG placement, moving weight from the face and body to create perimeter weighting which positions the CG behind the Sweet ZoneTM. This provides high moment of inertia (MOI) for greater forgiveness. The V-Skid sole combines a higher bounce leading edge with heel toe relief, resulting in a sole that is versatile for better players, yet forgiving for mid and higher handicappers. This works with the vibration management system to reduce unwanted vibration and sound for exceptional feel. Just like the AMP CELL Drivers, Fairways and Hybrids, golfers will have a choice in color when it comes to the AMP CELL Irons. While silver will be the stock option, AMP CELL Irons with Vibrant Orange, Directoire Blue or Barbados Red details will also be available through select retailers and custom orders. The COBRA AMP CELL Irons are available in right and left handed models in both steel and graphite, 3-L. 8 piece sets (4-G) are available with a street price of $699 for the steel set and a street price of $899 for the graphite set. The AMP CELL steel irons feature a True Temper Dynalite 90 shaft and the graphite irons use a COBRA MRC AMP CELL Shaft. All irons feature a Lamkin REL .600 grip designed specifically for AMP CELL Irons. PHILADELPHIA (Sept. 27, 2012) – Two of the greatest legends in sports, former Notre Dame basketball coach Digger Phelps and his son-in-law, MLB pitcher Jamie Moyer, will co-host a celebrity golf tournament in Las Vegas, Nov. 2-3, 2012, to support The Moyer Foundation’s mission and signature programs helping thousands of children in distress across the country each year. The Moyer Foundation’s 6th Annual Celebrity Golf Classic, presented by Savers®, will also include a Toast & Roast – Celebrating Jamie Moyer’s 50th Birthday (#50 turning 50) on Friday, November 2nd at the MGM Grand. The tournament will be played at Bear’s Best Las Vegas Golf Course. Confirmed to participate in the Toast & Roast and play in foursomes with invited guests and sponsors on Saturday, Nov. 3 is former MLB pitcher Tommy John (whose namesake ligament surgery greatly benefited Jamie Moyer). Also playing are NFL legend Joe Theismann, two-time MLB All-Star Rick Rhoden, four-time MLB All-Star Bob Boone, seven-time MLB All-Star Trevor Hoffman, and actor Alfonso Ribeiro (The Fresh Prince of Bel-Air), among others. The tournament will be followed by an Awards Ceremony and Luncheon at Bear’s Best. All proceeds benefit The Moyer Foundation’s mission to empower children in distress by providing education and support – helping them to live healthy and inspired lives. Founded in 2000 by Jamie and Karen Moyer, The Moyer Foundation is a public nonprofit organization with offices in Seattle and Philadelphia. In addition to community-funded grants, the Foundation created and funds Camp Erin®, the largest national network of free children’s bereavement camps including a location in nearly every Major League Baseball city as well as Camp Mariposa®, a free camp for children living with addiction in their families that is also expanding nationwide. Co-hosting the Celebrity Golf Classic is Digger Phelps, former head coach of Notre Dame (1971-1991), one of the most successful coaches in college basketball history, and currently an analyst for ESPN. Last spring, at the age of 49, Jamie Moyer became the oldest pitcher in the major leagues to win a game. He is married to Phelp’s daughter, Karen, with whom he has eight children. Sponsorship packages range from $6,000 per foursome up to $100,000 for sponsorship of the Nov. 2 dinner. Individual tickets are available for the dinner and can be purchased with a hotel package at the MGM Grand on a first come, first serve basis. For more information on The Moyer Foundation, visit http://www.moyerfoundation.org. (HUNTINGTON BEACH, CA) – Club Glove® – a worldwide leader in the design and manufacture of premium golf bags, club covers, travel bags, accessories and luggage – confirms its renowned microfiber Caddy Towel has been ordered and will be used in competition by the 2012 U.S. Ryder Cup team. The Caddy Towel continues to be the top choice of the game’s elite, thanks to a unique, contoured surface that’s strong enough to remove dirt from the club face and sunblock from a golfer’s hands, yet gentle enough to safely clean eyeglasses. It joins Club Glove’s Last Bag XL, TRS Ballistic Check-in XL and Stiff Arm Device as gear chosen by Team USA for the upcoming international competition. Featuring more than 5 million yards of microfiber strands, each towel can hold 300 percent its weight in water. Easily recognizable on televised PGA Tour broadcasts due to its waffle texture and contrasting stitched trim, the pro-sized Caddy Towel is available in a tandem package with a Pocket Towel that comes as a gift with purchase. A $10 value, the Pocket Towel measures 8 by 12 inches and is perfectly unobtrusive in a back pocket. Club Glove also offers a customizable 16 by 24 inch Cart Towel, available for corporate sales. Golf’s original and best microfiber towel was introduced in 2006 and rapidly gained a loyal following among players who favored its ultra-lightweight, super absorbent and virtually lint free design. The Caddy Towel is vastly preferred over all competitors by thousands of the finest public and private facilities nationwide, including Sports Authority, Golf Galaxy, Golfsmith, PGA Tour Superstores, Edwin Watts, Academy Sports and Worldwide Golf. This marks the eighth time Club Glove has in some capacity outfitted the U.S. Ryder Cup team. The company – whose travel gear is used by more than 90 percent of PGA Tour players, according to Darrell Survey – created custom, personalized versions of its bags for each recipient. Honored by Golf World magazine as one of the game’s “10 Best Innovations,” the Last Bag is the No. 1 golf travel bag brand at all PGA and Champions Tour events. It is perfectly complemented by the Stiff Arm Device, a fully adjustable, three-piece telescoping crutch that is slightly longer than the longest club in the bag, protecting clubs and shafts while nearly eliminating all risk of breakage. Crafted to ensure trip preparation is a stress-free process, the TRS Ballistic Check-in XL features five packing modules for easy, wrinkle free clothing and accessories organization. With its unique rigid, yet soft-sided design, the luggage carries dimensions never before seen in the industry. Extremely functional and durable, all pieces in the collection are U.S. woven with military-spec INVISTA CORDURA® 1050 denier Ballistic Nylon fabric for unmatched abrasion and tear resistance. Available in all black or a fashionable two-tone black and bronze color scheme, the line consists of Backpack ($349), Shoulder Bag ($349), Carry-on ($699), Check-in ($750) and Check-in XL ($799) bags. When used as a set, travelers can take advantage of Club Glove’s renowned, patent-pending Train Reaction system. This allows users to quickly and easily connect bags and drastically reduces the amount of effort needed to pull or push gear by creating a perfect center of gravity and weightless feel. Follow Club Glove on Twitter at @ClubGloveUSA and Facebook at http://www.facebook.com/ClubGloveUSA. RIDGELAND, Miss., September 14, 2012…It’s a breeze to use, and affordable too! SkyGolf, maker of the #1 rated and most reliable rangefinder in golf, introduces the SkyCaddie® Breeze™, the simplest rangefinder in golf. At the lowest ever price point, the SkyCaddie Breeze is an unbeatable value for golfers looking for a simple and affordable way to improve their game without compromising on quality and accuracy. The Breeze delivers a virtual sprinkler head; offering golfers front, middle and back of the green distances from anywhere on the course without touching a button or aiming. Most importantly, the Breeze provides the unmatched quality of a SkyCaddie in an easy-to-use device that performs more accurately than any others on the market. The attractively priced Breeze comes preloaded and is hands-free from the parking lot to the 18th green. Front, center and back of green yardages are displayed in big, easy-to-read numbers on a large 3-inch, sunlight-readable display. Breeze features include: Auto Course (finds and loads a course automatically); Auto Hole Advance (advances to the next hole automatically); and Auto Distance (yardages update every second without aiming). Golfers can also measure any shot, knowing the exact distance they hit their clubs, while enjoying digital scoring at their choosing and much more. And with a simple turn of the wrist, golfers can view a jumbo screen with a huge number to the green or see their scorecard in landscape orientation. “The new Breeze addresses the needs of a large segment of golfers who are looking for simplicity and accuracy at a price unmatched in the industry,” according to SkyGolf CEO Richard Edmonson. “Even more exciting is the Breeze is also upgradable to provide many other game saving course features and applications that help golfers play even better as their needs and their games grow. This will enable Breeze owners to customize their SkyCaddie to meet their unique needs as golfers without buying a new device or buy features they would not use.” Breeze owners seeking more advanced stroke-saving features such as HoleVue, IntelliGreen, RangeVue and PinPoint can do so with a series of optional upgrade packs and membership choices. Suggested retail price of the new SkyCaddie Breeze is only $229.95, and it is offered with a 30-day satisfaction guarantee. Until December 31, 2012, consumers purchasing the Breeze will receive $250 in Hotel Savings Bucks, which may be used to enjoy savings of up to 40% off the guaranteed lowest rate available at over 15,000 hotel properties worldwide, including 20 great hotel brands. In addition, members also earn SkyRewards® Points and other discounts to save golfers more than three times the cost of nominally priced memberships starting as low as $19.95 per year. Golfers can reduce the price of a Breeze even more by taking advantage of the SkyGolf Trade-In program. By trading in a used SkyCaddie, laser rangefinder or unwanted golf clubs, many SkyCaddie purchasers are getting a new SkyCaddie practically for free. For more information on the Breeze, Hotel Savings Bucks, SkyRewards, SkyCaddie membership plans, and trade-in programs, visit http://www.skycaddie.com. SkyGolf® is a private company specializing in the development of innovative positioning systems and technology products specifically designed to help golfers shoot lower scores and have more fun. SkyGolf is leading a revolution for improving the way golfers play the game by providing accurate course information to golfers and PGA Professionals worldwide. The mission of SkyGolf is to respect the long-standing traditions of the game, use technology responsibly within the spirit and rules of golf and to provide golfers of all skill levels with rewarding golf experiences with accurate and reliable products. SkyGolf is the maker of SkyCaddie®, the #1 rated rangefinder in golf. It was born from the belief that every amateur deserves the same reliable and precise information a professional caddie provides to PGA TOUR professionals. SkyCaddie is the closest thing to a TOUR caddie’s actual yardage book. It uses information gathered from professional mappers who walk every course and record critical target information with sub-meter precision. Through this ground mapping methodology, SkyGolf mappers have trekked over a million miles recording approximately 100 million accurate data points on close to 30,000 golf courses worldwide, while annually updating thousands of courses. These unmatched efforts have proven to distance SkyCaddie from all competitors. Golf Datatech, the industry’s leading independent research firm, conducted a survey polling golfers about their opinions of lasers, dedicated GPS devices and smartphone apps. It revealed that more serious golfers trusted SkyCaddie than all other rangefinders combined and that 94% of these golfers believed “exact yardage” is important to their game. SkyCaddie was rated more accurate than lasers by a margin of 3-to-2 and more accurate than other GPS devices by ratios ranging from 8-to-1 and 23-to-1. Today, SkyCaddie is the Official Rangefinder of The PGA of America, Canadian PGA, PGA of Great Britain and Ireland, the PGA of New Zealand, PGA of Germany, the PGA of Spain and the Swedish PGA. As part of SkyGolf’s mission to provide golfers with a more rewarding experience, the company created ClubSG to complement SkyCaddie. ClubSG is a passionate online community where SkyCaddie members, as well as all golfers, can go to connect to their game, courses, equipment, Golf Professionals and each other. It is golf’s fastest growing online community, with hundreds of thousands of passionate golfers eager to enjoy better experiences on and off the course, motivate each other to improve, celebrate their successes, and attract new players to the game. Further adding to SkyGolf’s mission to help make golfers better, the Company developed Swing Labs®, the industry’s first unbiased, performance-based fitting solution designed for fitters by fitters. Its purpose is to provide more distance and enhanced distance control for golfers while improving the efficiency and effectiveness of the fitting process. Swing Labs is the only fitting solution to include actual performance data from all major club manufacturers based upon testing by Golf Laboratories, the industry’s leading independent testing facility. For more information, visit: http://www.skygolf.com. (FALLS CHURCH, VA) – Tin Cup Products, LLC announces it has added The Stache, a fun, stylized depiction of a handlebar mustache, to its rapidly expanding collection of patented, Made in the USA golf ball marking stencils. Created from 100 percent stainless steel, The Stache is the latest mark offered as the ‘Cup of the Month.’ Inspired by modern hipster subculture and great relief pitchers of baseball’s recent past, it joins the more than 100 award-winning styles ($19.95 each) available at http://www.tin-cup.com. Since being named “Best New Product” at the 2010 PGA Merchandise Show, Tin Cup has grown rapidly. Its personalization process takes just seconds, as players place the stencil over a ball and trace it using an ultra fine point permanent Sharpie. The Tin Cup collection includes emblems from all four major military branches as well as visualization/game improvement marks. Complementing popular styles, like Luck of the Irish, Five O’Clock Somewhere and Jolly Roger, is an affordable customization program used by well-known corporations, charities, media outlets, celebrities and individuals. Tin Cup’s patented golf ball marking stencils are crafted from 100 percent stainless steel and Made in the USA. The entire personalization process takes just seconds, as players simply place the Tin Cup of their choice over a golf ball and trace the design using an ultra fine point permanent Sharpie. In addition to more than 100 existing models, Tin Cup introduces new stencils monthly. Its customization program provides low minimums, affordable pricing and prompt delivery for corporations, charities, media outlets, celebrities, events and others seeking a distinctive gift. Tin Cup stencils are currently sold at more than 1,000 retail locations worldwide, including PGA Superstore, Edwin Watts, Roger Dunn and Golfsmith, as well as elite clubs and resorts like Baltusrol, Bandon Dunes, Congressional, Kingsmill, Medinah, Reynolds Plantation, The Boulders, Torrey Pines, Wailea and Sea Island. The company also has distribution in Canada, the UK and Japan.